I love the idea of wearing something like this- a living breathing friend around your neck! 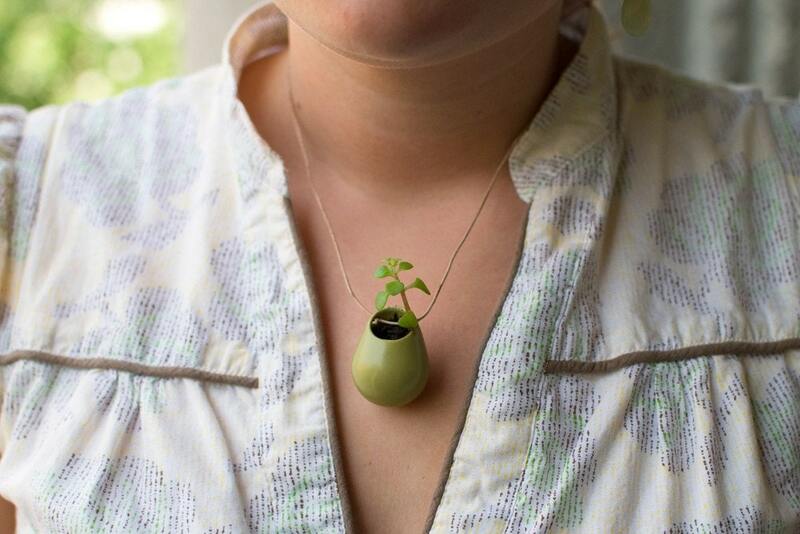 As Atlanta-based artist Colleen Jordan says, "a lovely little plant you would like to carry along with you on your daily adventure." Crafted of nylon using 3D modeling software (um, I want one of those machines to play with), Colleen offers a variety of shapes and sizes which you can fill with plants, succulents, or flowers.